Rochelle hosts Fridays Fictioneers every week. The stage lay quiet after the latest show. 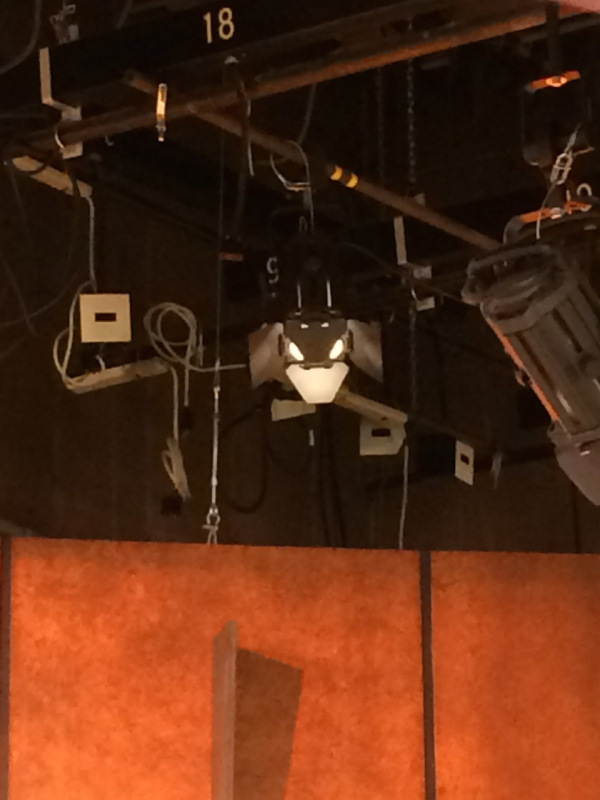 Two figures stood in the shadows as the stage-manager walked out onto the boards, looking up at the lights. One figure stepped out and silently approached the stage. She leapt up and landed behind the manager with no sound. “Thank you Moria”, Raynard said and bit into the neck of the stage-manager. This entry was posted in Flash Fiction and tagged April, Fiction, Friday Fictioneers, Photo Fiction, Raynard, Rochelle, Vampire, Vampires. Bookmark the permalink. I haven’t put it there yet. I keep forgetting and I missed FF last week 😦 I missed my own Haibun Thinking as well. I have not been having a lot of time. Caught me by surprise here. I didn’t realize what story this was until the bite! I wanted to keep it that way which is why the link to the rest of the story is at the end. Hmmm, I’m just ready to have some breakfast. This is NOT what I’m having. 🙂 Seems as though on a stage there should be plenty wood for stakes. But you have to realize the vampire’s sneaking up on you so you can be ready. hehe Thanks Janet. They do kind of move silently. This is also the first time you have met Raynard’s sire in a living form. And that’s too bad. I’d rather meet him dead! Man, those pesky vampires and their penchant for sneaking up on people. So many actors and theater people are getting slaughtered because of this photo. It’s enough to make anyone re-think a career on the stage! Interesting. A bit of background history on them. Creepy beginnings for young Raynard. Where’s a wooden spike when you need it? Stage managers are often like office managers: they can be so annoying. Death in the FF continues Al, nicely done as well. My reality concedes not to such trivialities!